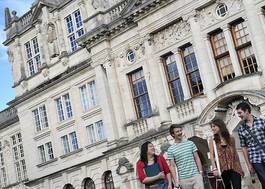 Study English Language and Literature with a Year Abroad at Swansea University - Which? Studying English Language and English Literature gives you the opportunity to explore how language works and how societies communicate, alongside a diverse and stimulating literature course, stretching from Beowulf to contemporary fiction. This four-year BA English Language and English Literature degree with a year abroad opens up a range of exciting career possibilities by giving students transferable and practical skills, which are highly valued by employers. Some 96% of graduates are employed or in further study within six months of graduating (Destination of Leavers from HE survey 2015), and 73% of English Literature students achieved a 1st class or 2.1 honours degree in 2017/18. English is ranked 7th in the UK for research (REF 2014) and ranked in the Top-15 for graduate prospects (The Times Good University Guide 2018 and The Complete University Guide 2019). Our graduates in English Literature and English Language have careers in fields such as education, teaching English as a foreign language, business, journalism, public services, media and public relations, law and speech and language therapy. 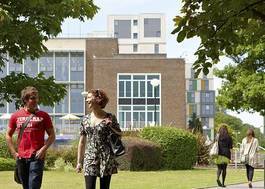 Based on our stunning Singleton Park campus, in parkland overlooking Swansea Bay on the edge of the Gower Peninsula, the course structure is flexible and offers a wide-range of specialist modules. You will explore how language works and how societies communicate, and you can choose from a range of literature and creative writing modules, ranging from gothic and genre fiction, to gender and culture, renaissance literature, modernity and contemporary writing. You will also have the option to obtain an internationally recognised, professional teaching qualification (Cambridge CELTA) to further enhance your career prospects. The third year you will spend studying at a university in Europe or the USA, further enhancing your student experience and your career potential. In your final year, you can undertake an independent research project in an area of specialism supported by academic staff. Some of our students’ work is showcased at our annual conference and students have published their work in international journals and presented at international conferences. Teaching on the course is by leading academics and established writers with international reputations and is informed by our world-leading research – English at Swansea is ranked seventh in the UK (Research Excellence Framework 2014) - and you can attend seminars organised through our guest speaker programme. You will study six modules each year to include compulsory and optional modules. Module selection options may change. 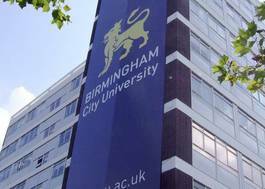 This degree programme is delivered through lectures, tutorials and seminars. You will usually receive nine hours minimum scheduled contact time with your teachers every week. Full attendance at lectures, seminars and personal tutorials (personal tutorials are obligatory). All Arts and Humanities degree programmes include independent learning which requires initiative and hard work. We will challenge you with demanding teaching and assessment. Assessment includes essay, coursework and examination, presentations and a dissertation.